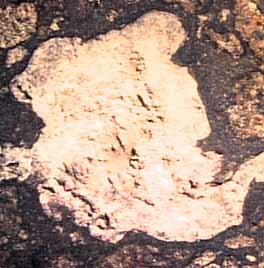 The irregular white blotches are called CAI's . 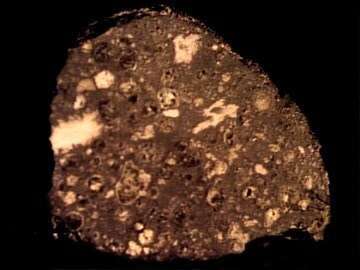 Closeup of CAI(calcium-aluminum inclusion) in Allende specimen. 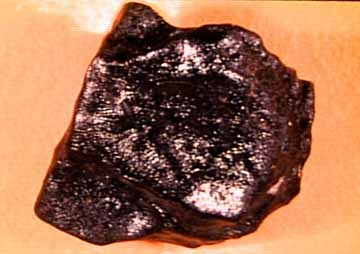 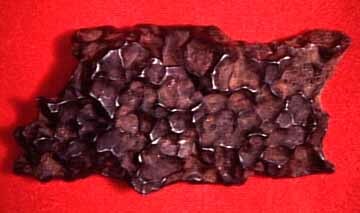 This is the oldest known rock, dating to over 4.5 billion years old. 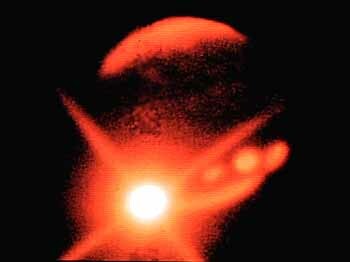 Nucleus "G" of Comet Shoemaker-Levy 9 slams into Jupiter.